Raj Whadwa recently joined RKF as a Director. He has more than 17 years of real estate experience, concentrating on both landlord and tenant representation. His expertise is the Long Island market. Raj works exclusively with numerous retailers including, Verizon, MetroPcs, 2Cute, Cinnabon, Auntie Anne’s, Checkers, Five Guys Burgers and Fries, Gong Cha, Rolling Cow and Phone Fix NYC. On behalf of 2cute, Raj has secured over 50 retail locations. He has also assisted Verizon Wireless in securing 25 store locations throughout New York. 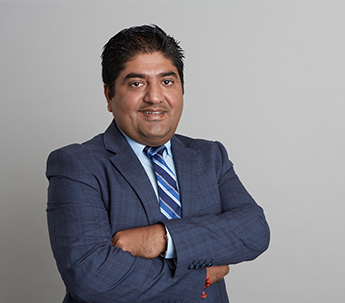 Prior to joining RKF, Raj was the Head of Real Estate for an apparel company located in Long Island and conducting business throughout the tri-state area. He was responsible for negotiating terms and securing and opening sites, mainly in the Long Island area. Raj graduated with a Bachelor of Economics from DAV University in India and also holds a degree in Business Management. He is a licensed real estate salesperson in the state of New York and a member of the International Council of Shopping Centers.